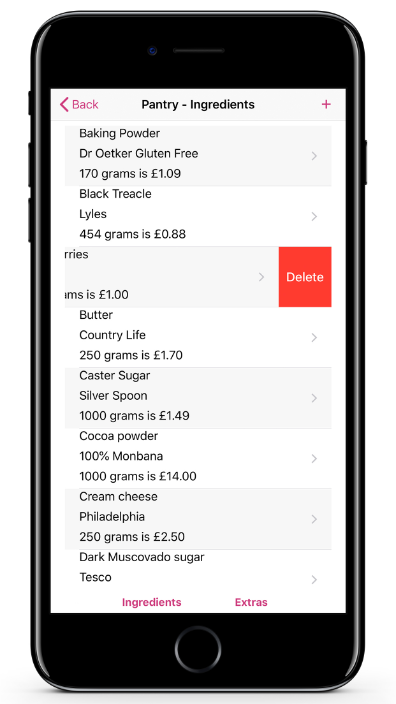 Our Cost a Cake Pro App puts you in control. A great business tool, that will change the way you price your cakes, and ensure that you never undercharge again! At The Cake Makery we have expertise in many areas, not just cake! We design and build all of our apps in house. Our focus is to provide our customers with the best, and easiest to use apps for the baking industry. Cost A Cake Pro has been created for all cake makers and bakers. Find out more about our Pro App here. We have created this app with everyone in mind, from casual bakers to professional cake makers, this app will help you price up all your cakes, cookies and cupcakes in no time at all. If you are a hobby baker this app will help you see what it is costing you to bake cakes for your friends and family. This information is vital to making sure you aren't out of pocket! If you are a professional cake maker then this app is a must! It will help you see what it is costing you to bake cakes for your customers. You can add in your time, delivery charges, oven times, any recipe that you can bake and create custom quotes for your customers with accuracy and ease. Cost A Cake Pro will save you time and help you increase your prices! Take me to the Apple Store - I want it already!